CORTINA D’AMPEZZO, Italy — You might question some of her decisions, but you certainly can’t question her heart, tenacity and desire. Lindsey Vonn returns to ski racing at one of her favorite World Cup venues nestled in the Italian Dolomites, noting that she is still willing to take great risk to add to her career total of 82 victories. Vonn – who has won 12 of those races at the chic Italian ski resort, including surpassing Annemarie Moser-Proell’s downhill wins record in 2015 – affirmed that undoubtedly these will be her final three races on the Olympia delle Tofane track, this Friday through Sunday. Not even needing one victory to break Ingemar Stenmark’s World Cup record of 86 would prompt a return next season. “It’s not a matter of will, desire or motivation – I have the determination to continue for many more years, but my body is not on the same page, unfortunately,” Vonn said at a news conference in Cortina d’Ampezzo on Wednesday evening, her dog Lucy sitting on her lap. The 34-year-old Vail ski racer says she is uncertain as to how much risk she will take and how hard she will push both in Cortina and over the remainder of her career. She seems to be of the gambling mindset to go full throttle at all costs before calling it quits next December in Lake Louise, Canada. “In the last few years I have been more calculated with the risk that I take, but I also haven’t skied a season where I know I’m retiring,” Vonn said. “I think that calculation of risk is different now because this is my last season. “I’m going for wins and I don’t really care what happens – I do care, of course. I’ve been hurt so many times I’d prefer not to say hi to all my friends at the Steadman Hawkins Clinic,” she said with a smile. “I’m just going to enjoy the moment, I’m not going to over-analyze. I’m just going to go out and ski like I did when I won my first podium here and whatever happens, happens,” she said, referring to a third-place finish in Cortina in 2004. Vonn missed the opening of the 2018-19 speed season in Lake Louise as a result of a Nov. 20 training crash at Copper Mountain. Although surgery was not necessary, she suffered a hyperextended left knee, sprained ligament and bruised bone. Her right knee is permanently damaged from previous crashes and she wears braces on both legs. Vonn has battled back from injuries on numerous occasions: torn ACL’s, fractures near her left knee, a broken ankle, sliced right thumb, a concussion and others. 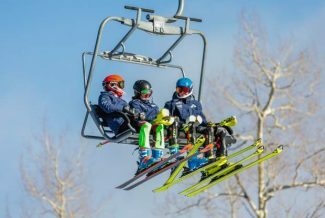 The four-time Olympian said despite the long list of injuries and punishing crashes over the course of an 18-year career, she has never been scared while blazing down steep, icy slopes in the sport’s most daring and dangerous discipline. “I think it is a strong suit for me, but it is also my downfall – my lack of fear is what has caused me to crash so many times because I’m always giving 100 percent,” Vonn said. “I’m never afraid of what might or might not happen because you can’t ski downhill that way. Vonn will take to the familiar Italian piste, with its daunting Tofane Schuss section, for consecutive downhills Friday and Saturday, followed by a super-G on Sunday. During her illustrious career, Vonn has won downhill gold at the 2010 Vancouver Olympics and bronze in Pyeongchang in 2018, four overall World Cup titles, an unprecedented eight World Cup downhill titles and five more in super-G.
Vonn is one of only a small group of ski racers who have transcended the sport to attain larger celebrity status, often grabbing headlines for her more than two-year romance with golf icon Tiger Woods and more recently Nashville Predators hockey player P.K. Subban. 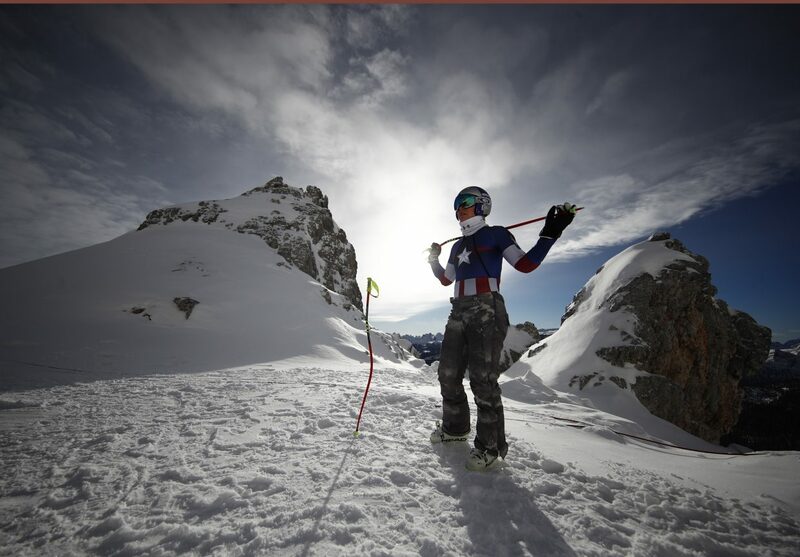 On the race hill, Vonn is hoping for one final dream season. Vonn said she doesn’t believe Stenmark will be overly upset if she eclipses his longstanding record. Mikaela Shiffrin is foregoing the upcoming Italian downhill races following a hectic race schedule in which she captured her 10th victory on Tuesday in Kronplatz, Italy. 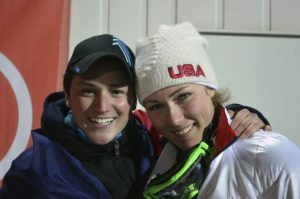 The decision comes despite Shiffrin’s surprising third-place finish in a Cortina downhill one year ago. She plans to return for a super-G on Sunday. “The decision on downhills was made mainly because I’m sort of in this never-ending quest to find the perfect balance of managing training, racing, rest and managing energy in racing all of the disciplines,” Shiffrin said. 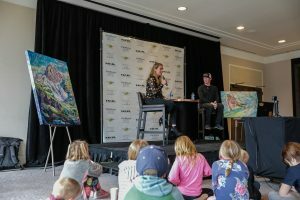 Vonn said the sky is the limit as to how many World Cup victories the 23-year-old Shiffrin has the potential to achieve, this season and beyond. “It’s hard to say, she’s skiing so well and continuing to improve in super-G and downhill,” Vonn said. “Without a doubt, both her and Marcel (Hirscher) will break the record this year (14 victories), it’s just a matter of what the record will be and which of the two is going to break it. Brian Pinelli can be reached on Twitter via @Brian_Pinelli.